Zappar and its friends at Shazam often team up to offer some of the most exciting Augmented Reality packaging around. The presentations they make are always wildly popular features of AIPIA events. So we are pleased to confirm they will be part of the line up at the AIPIA Summit of the Americas. Here are just three reasons why big Brands love ‘em! 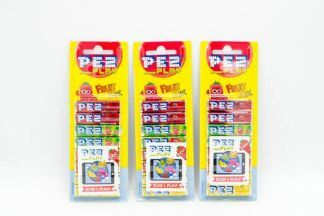 PEZ: To help increase sales of its candy refill packs whilst engaging the audience on mobile Zappar created an app where users are invited to help restore ‘PEZ World’ to its former glory by finding Candy Codes that appear on PEZ refill pack inlays. Scanning a Candy Code unlocks one of six games and characters, including timing and skill-based challenges and puzzle games. The six Candy Codes are randomly distributed across the millions of pack inlays. Heading into 2018 a further six games have been released. DANONE: As part of the renewal of the Danone campaign in Russia, consumers were given the opportunity to Shazam the Danone yogurt drink to be taken to an interactive, intergalactic AR game.